People who want to improve the appearance of their eyelids or who have eyelids that droop excessively may opt for blepharoplasty surgery. 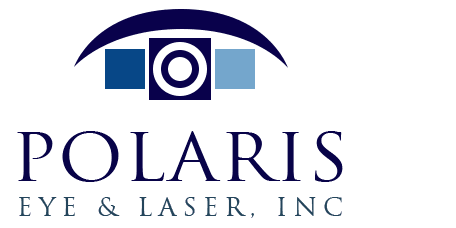 This surgery is expertly performed by Dr. Jeehee Kim at Polaris Eye & Laser in Los Gatos, California. After blepharoplasty, a patient’s field of vision will improve and many people find that they look younger, more alert, or revitalized. Blepharoplasty is a surgical procedure that eliminates extra tissue in the upper eyelids, the lower eyelids, or both eyelids. It is common for the thin and highly delicate skin surrounding the eyes to be one of the first areas on the face to show age-related changes. Skin loses elasticity over time, which means that the eyelid skin stretches out. The muscles around the eyes also weaken over time, and the fat pads around the eyes may start to thicken and bulge. All of these factors can contribute to a decrease in visual field or an aging appearance. Blepharoplasty can remove excess fat tissue, tighten the skin around the eyes, and improve vision. Will My Insurance Cover Blepharoplasty? If blepharoplasty is done only for cosmetic reasons, it is not likely that medical insurance will cover the procedure. If a blepharoplasty is done for functional reasons, for example in cases where the upper eyelid tissue is so droopy that impedes functional vision, it may be covered by insurance. 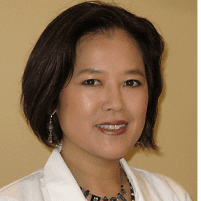 Dr. Kim’s office staff will seek insurance pre-authorization where the procedure is reasonably medically necessary. Blepharoplasty is an outpatient procedure and usually takes 1-2 hours, under local anesthesia if performed in the office. In an upper lid blepharoplasty, precise curved incisions are created in the natural eyelid crease, and in a lower lid blepharoplasty, the incision is created immediately beneath the natural eyelash line. A small amount of skin tissue is removed along with excess fatty tissue. The ophthalmologist controls bleeding with a cauterizing instrument. The incisions are closed with a series of tiny sutures, which attaches skin tissue with muscle tissue, and closes the incision. Blepharoplasty sutures are removed at a follow-up appointment about a week after the surgery. What is Blepharoplasty Recovery Like? After blepharoplasty, patients can expect healing to take a couple of weeks. Mild redness and swelling is normal and will abate over the first few weeks after the surgery. Patients should allow plenty of eye rest and should avoid touching or rubbing the eyes as much as possible to allow for optimal healing. This type of surgery can give patients a new wider field of vision and a whole new look that recaptures a more youthful appearance.